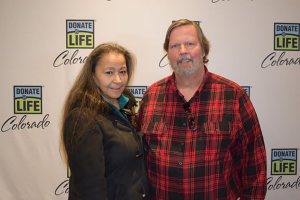 Donor Alliance volunteers and advocates are the heart and soul of our efforts to inspire and inform our community about the importance of registering as organ, eye and tissue donors in Colorado and Wyoming. Each of our volunteers and advocates has their own unique and inspiring story to tell. This month, we are featuring Scott Pinkney, a liver recipient. What is your favorite memory volunteering for Donor Alliance? My favorite memories are the hugs I receive after sharing my story with medical personnel. That and being able to tell them “Thank you!” So many of them care for us when we are ill but never get to see us after receiving our gift of life. 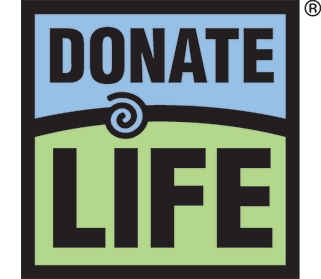 I am proud to be a liver transplant recipient and, thanks to the Donor Alliance, have an opportunity to share my story on behalf of organ, eye and tissue donation. What is your proudest accomplishment? After writing and deleting different “accomplishments” I finally picked… being a husband to my beautiful wife. Being the person she can trust; the person to help raise our children, the person she can talk with or yell at if she needs, but most of all, the person she can love and who will love her. What is the last book your read or movie you saw? Would you recommend it? My favorite books are service manuals, and I don’t really watch movies but I love to watch documentaries. One documentary I would definitely recommend is “Transplanting Hope,” which aired on PBS. It is an amazing documentary that shows the many sides of donation and transplantation. If you do watch it, be ready to shed a few tears! at’s what I loved. It’s also the time of year we go on our family sledding trips; sitting around the fire sharing beer, wine and stories! What is the best piece of advice you’ve ever received? Something my father told me, “If you want something, work for it.” He wanted me to appreciate the feeling you have after working for it. It’s something I’m trying to pass along to my grandson.